Patriotic waffles as we remember our soldiers today! As I type this, it is Sunday, Veteran’s Day 2012. It’s a day to remember our veterans, those who have served so that we can be free. I attended a wonderful Veteran’s Day ceremony on Friday at one of the schools I visited and I literally had goosebumps as the whole room pledged allegiance to the flag. We often take our freedoms for granted, and I am grateful today for the opportunity to remember why we are free. Thank you to all who serve and all who have served! 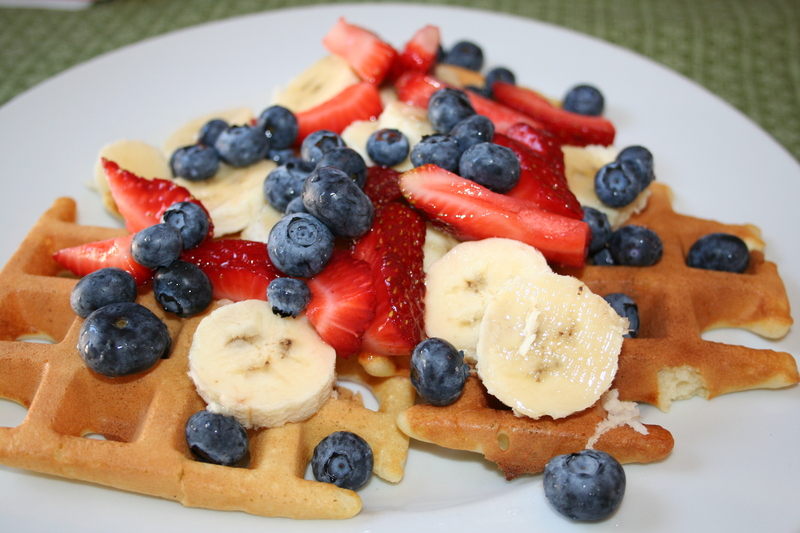 Since I’m posting a picture of our patriotic waffles, I will re-post a recipe for waffles that I posted a while back, too. Enjoy them as you remember why we have the day off today! 2 TBL canola or vegetable oil ** I recently earned that you can substitute the same amount of nonfat plain yogurt for the oil!